Dizzy Gillespie was one of the most important and best-loved musicians in jazz history. With his horn-rimmed glasses, goatee, jive talk, and upraised trumpet bell, he was the hipster who most personified bebop. The musical heir to Louis Armstrong, he created the modern jazz trumpet-playing style and dazzled aficionados and popular audiences alike for over 50 years. In this first full biography, Alyn Shipton covers all aspects of Dizzy's remarkable life and career, taking us through his days as a flashy trumpet player in the swing bands of the 1930s, his innovative bebop work in the 1940s, the worldwide fame and adoration he earned through his big band tours in the 1950s, and the many recordings and performances which defined a career that extended into the early 1990s. 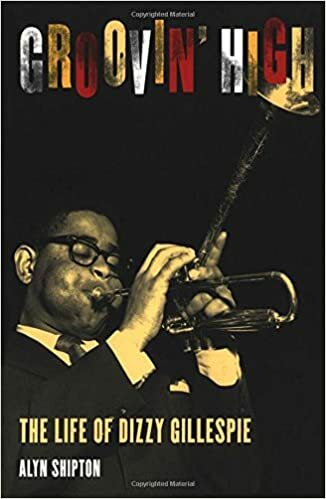 Along the way, Shipton convincingly argues that Gillespie--rather than Charlie Parker as is widely believed--had the greatest role in creating bebop, playing in key jazz groups, teaching the music to others, and helping to develop the first original bebop repertory. Shipton also explores the dark side of Dizzy's mostly sunny personal life, his womanizing, the illegitimate daughter he fathered and supported--now a respected jazz singer in her own right--and his sometimes needless cruelty to others. For anyone interested in jazz and one of its most innovative and appealing figures, Groovin' High is essential reading.